This article captures why I like the game so much! 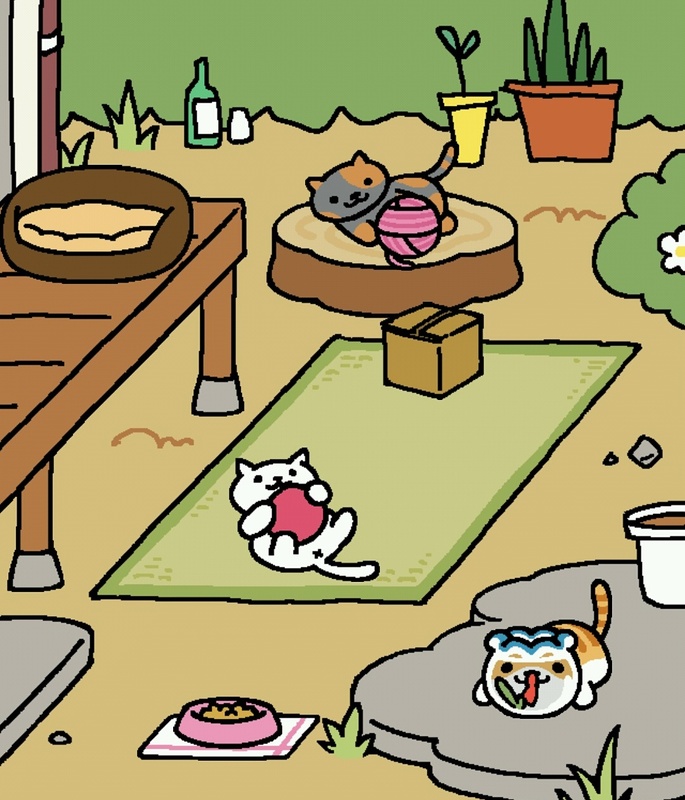 “While Neko Atsume is addictive, it is almost blissfully pointless. Humans scatter bowls of [food and toys around their virtual yards.]. Then they check back in on their smartphones periodically, hoping to spot some cute felines that have dropped by for a visit. Neko Atsume is a game in which there’s no reward beyond the chance to admire cute cats as they poke their heads out of a pile of leaves and nap atop pillow designed to look like pancakes. That’s pretty much what hanging out with cats is like in real life too.